The Lagos State Government on Sunday debunked insinuations, especially in the social media, of a plan to review the State’s Road Traffic Law 2012 as it concerns operations of commercial motorcycles (Okada) saying it has no intention of reversing itself on the matter as the Law was made in response to popular public demand. In a statement signed by the Special Adviser on Information and Strategy, Mr. Lateef Raji, the Government emphasized that it has no plans, either now on in the near future, to reverse itself on the matter of Okada operation in the State pointing out that by that decision considerable gains have been made in the area of protection of life and property in the State. Noting that the decision to regulate Okada operation was not a unilateral one, the Government maintained that it acted in response to the popular demand of the general public who were at the receiving end of the fatalities of commercial motorcycle’s daily operations. It reiterated that the Road Traffic Law did not ban Okada operation in the State but restricted a category of motorcycles from operating on only 475 out of the 9,100 roads in the State, which represents 5.6 percent of Lagos roads, adding that the result and impact of the decision has been tremendous. According to the statement, an average of 16 deaths and 646 injured patients were being recorded at the State’s secondary and tertiary hospitals every month as a result of motorcycle related serious accidents, but by March this year the number had dropped to only one to two deaths and less than 100 injured victims of Okada accidents a month. 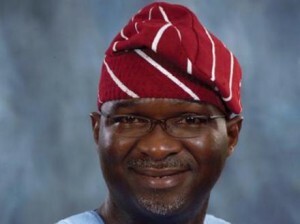 “No doubt, we have all the reasons to thump our chest that we have been responsive and responsible in the discharge of our duty to the people of Lagos”, the Government said, adding that no matter what the cynics think or say, Lagos State Government is the only government that has given recognition to the use of motorcycle as a means of commercial transportation through the instrument of the law and regulations meant to protect the riders and the generality of the citizenry. Indicating that it knows where the misinformation is coming from and the objective it is meant to achieve, the Government declared, “We are very much aware that in some jurisdictions controlled by the sponsors of this malicious propaganda, they have, through the instrumentality of raw power, banned outright the use of motorcycles”. “The reason and motive of the sponsors of this unpopular agenda is obviously to set the stage for roguish conduct in the 2015 election. Their action is not altruistic but sinister. Their subtle and malicious campaign is to aid their sinister plots of fomenting trouble and snatching ballot boxes with the use of Okadas during the forthcoming General Election”, the Government said warning, “Such evil plans will have no place in Lagos”. It thanked the general public for their concern over the issue, “most especially the law-abiding Okada riders who appreciate that we are more concerned with their safety and well-being than those who are trying to incite them against the law”, assuring that it would continue to work for the safety of Lagosians. Enjoining all Okada riders to go about their lawful duty by obeying the provisions of the State’s Road Traffic Law which, according to it, are made for their safety and that of the general public, the Government declared, “The duty of a responsible government is to protect life and property, and this we shall continue to do through the Road Traffic Law 2012”. The Government listed such provisions to include those that restrict okada operators from certain roads, those that compel them to always wear crash elements, not ride with more than one passenger, not carry a child below the age of 12, not to carry a pregnant woman or a passenger who is also bearing a load on his head while riding, among other offences. “All these are obviously for the safety of all”, the Government noted directing that all incidents of wrongful arrest or oppression by law enforcement agencies should be promptly reported, individually or through Union Executives, to the Attorney General’s Office or Office of the Public Defender for prompt action.